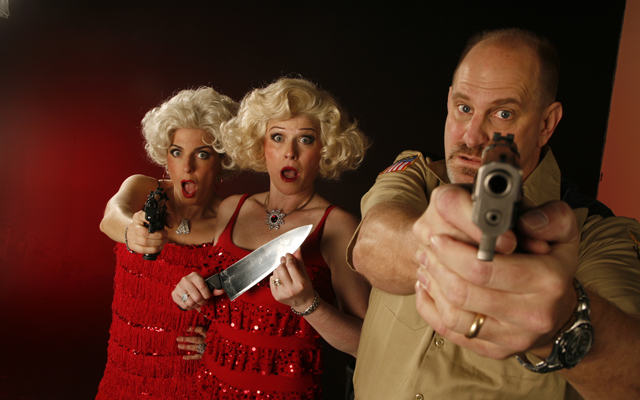 Become a part of the show when you go to see "Marriage can be Murder". This show is the best dinner show in Las Vegas. "Marriage can be Murder," allows the audience to become a part of the story. The actors and actresses are actually a part of the audience so you never know who is a part of the audience and a part of the story. When you go to this unique dinner theater, you will laugh, you will wonder, and you will become a part of the plot where killers and victims single you out in order to make you an intricate part of the web they weave around the entire audience. At the dinner theatre, you will receive a three-course dinner with your choice of beef, chicken, or pasta. The show plays out at The Four Queens Hotel & Casino. 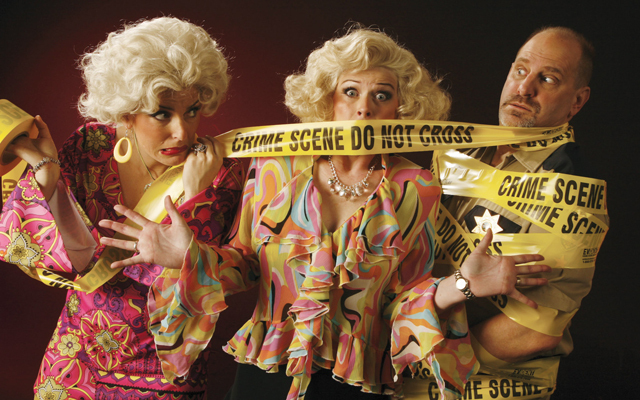 Marriage can be Murder is an improvisational show. Actors perform on the spot and each show is different then the last. The host of the show, Eric Post (who runs Post Productions) and the owner of The Egg & I Restaurant, Brad Burdsall are the two masterminds behind "Marriage can be Murder". They have designed the ultimate dinner mystery. This is something you cannot see or participate in anywhere else in Las Vegas. Eric Post is known both regionally and nationally for roles in theatre, commercials, and on Magnum P.I. He plays Lt. Post in "Marriage can be Murder". The Hostess, D.D. is played by Jayne Post. She is an impressionist as well as one of the best sources of comedic relief in the show. Jayne Post has won awards as a comedian. She has appeared at the Comedy Store and at The Improv in Los Angeles. Those who solve the crime during the “Marriage can be Murder” show will win awards, so you will want to make sure to try your best to help the cast solve the mystery. The show runs Wednesday-Saturday with no performances from Sunday through Tuesday. 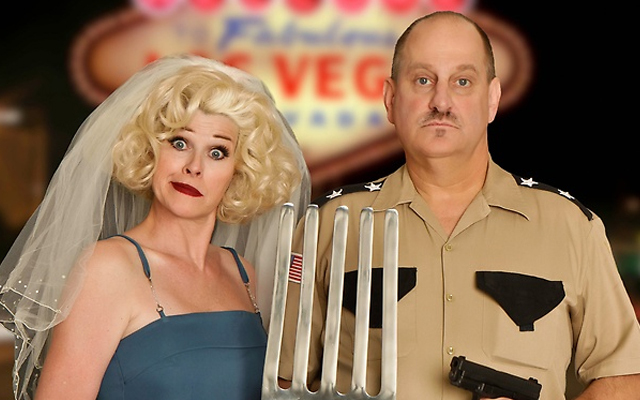 “Marriage can be Murder” contains PG-13 humor so the entire family can enjoy a trip to the dinner theater. Fitzgeralds Casino & Hotel : 301 Fremont Street Las Vegas, NV 89101. This was the most fun we have had in years!!! Was a little skeptical at first, But wound up not only being the highlight of our Vegas trip, but also coundnt remember the last time we had such fun!!!! Thanks DD and Officer whatever your name was!!! Awesome! A great night of fun, food and laughter. We had such a great time and my wife even won free tickets to another show for solving the murder correctly. Have been to other murder-mysteries before, but none like this. We havn't laughed that much in years. The actors were outstanding, hands up the best show we've seen in Vegas and you couldn't beat the price for show and dinner.